First things first, beer. You would think predominately teetotaling Mormon Salt Lake City would have a non existence brewery scene. For being the 126th largest city in the United States, the city has impressive microbrewery selection. I had the pleasure of enjoying various brews, especially from two breweries, Wasatch and Squatters . 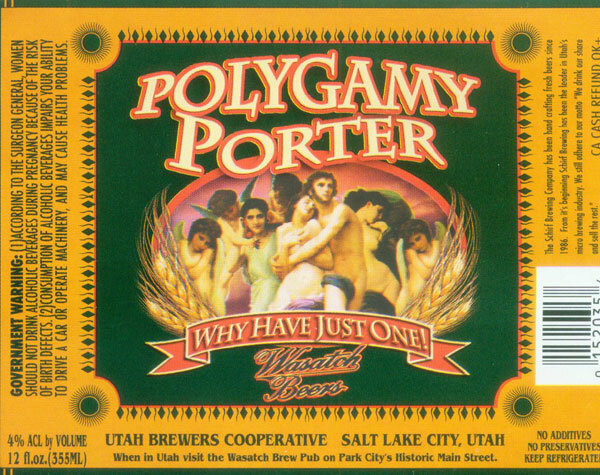 My favorite brew had to be Wasatch brewery’s Polygamy Porter and Evolution amber ale. Next we move to America’s favorite food, the burger. Downtown Salt Lake City has many burger joints. My choice was Acme Burger Company, a restaurant completely devoted to burgers. 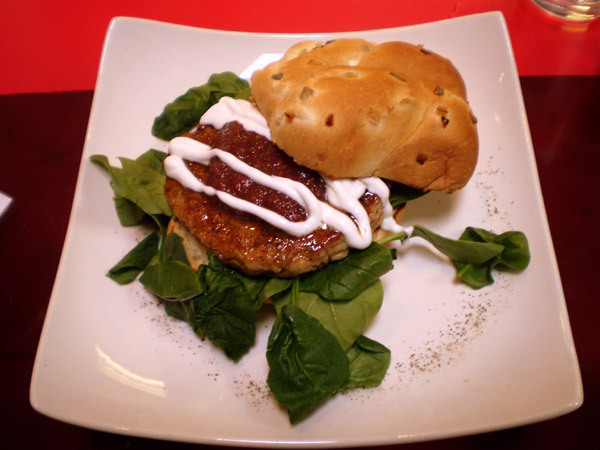 I was pleasantly surprised to find Indian style Tandoori burger along with bison burger. Obviously Tandoori burger is one of least popular, but the fact it’s on the menu speaks volume. My Tandoori chicken burger was perfectly spiced and cooked. The portion by itself was comparatively small and little on expensive side. However, Acme is highly recommended for any burger lover, either you like Tandoori style or very old fashion bison meat. 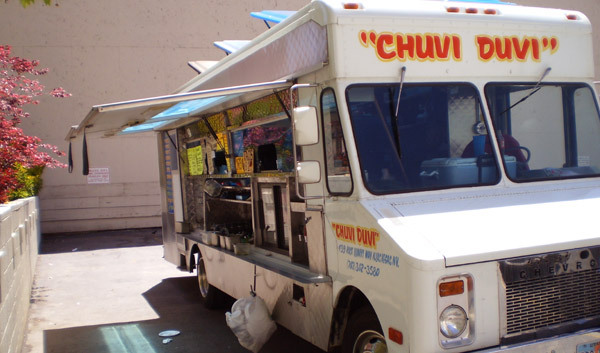 Most popular ethnic food in Salt Lake City, Mexican and South American. I saw more Mexican and South American restaurants, such as Brazilian, in Salt Lake City than American restaurant. All the street food/carts vendors were in essence Mexican taco stand. On recommendation of a friend, we tried Blue Iguana. The ambience of restaurant was inviting, except for too many sombreros on the wall. The restaurant was famous of its mole sauces. Most Americans think mole poblano as the mole sauce. Mole poblano is type of mole prepared with dried chili peppers, nuts, cacao and other ingredients such as spice, onions, garlic, etc. However, mole (which means sauce) can refer to any Mexican sauce, with its own nuisance and can be very time consuming to make. My enchiladas amarillas came with corn tortilla rolled around a filling of roasted pork (carnitas) smothered generously with mole amarillo. 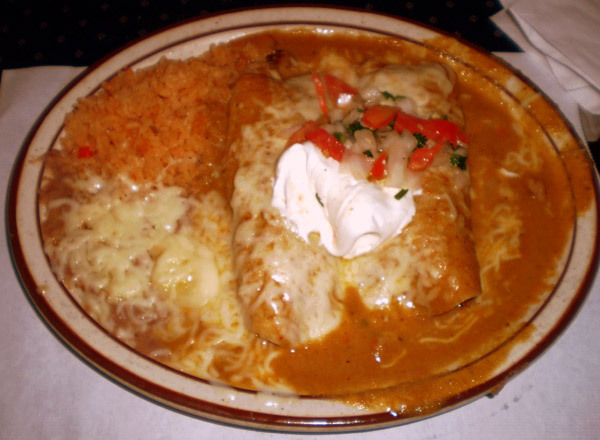 Enchiladas were good but mole amarillo, which means yellow sauce was better. I didn’t get to try more famous Iguana, the Red Iguana – next time maybe. 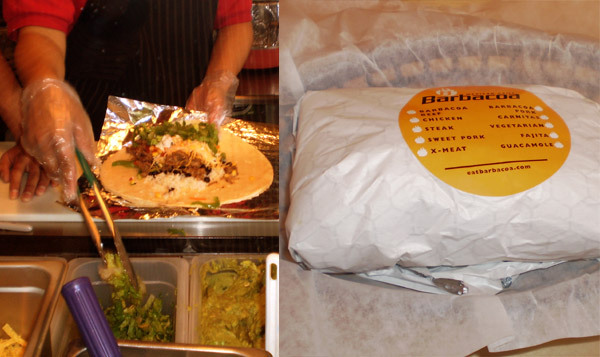 Another Mexican food stop was locally Utah based burrito chain called Barbacoa. The store was basically carbon copy of any ubiquitous Chipotle, except it has eco-friendly delivery option via its bicycles. 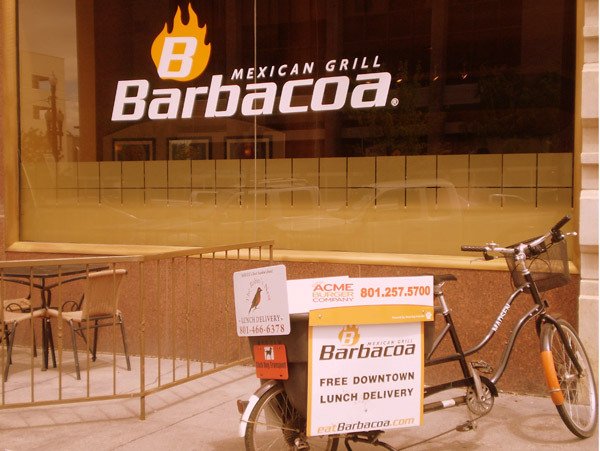 By the way barbacoa refers to slow-cooked meat (whole animal) cooked in hole in the ground covered with leaves in Mexico. 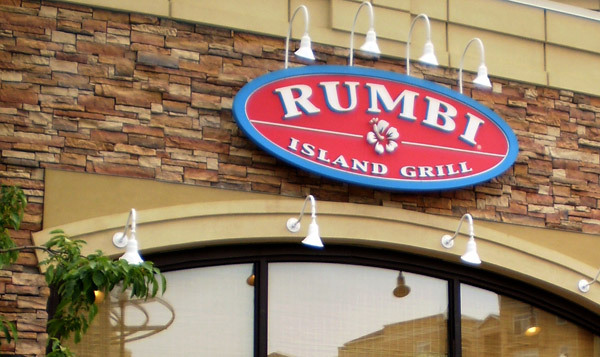 Rumbi Island Grill is another Utah based tropical (Hawaiian?) themed casual dining chain. 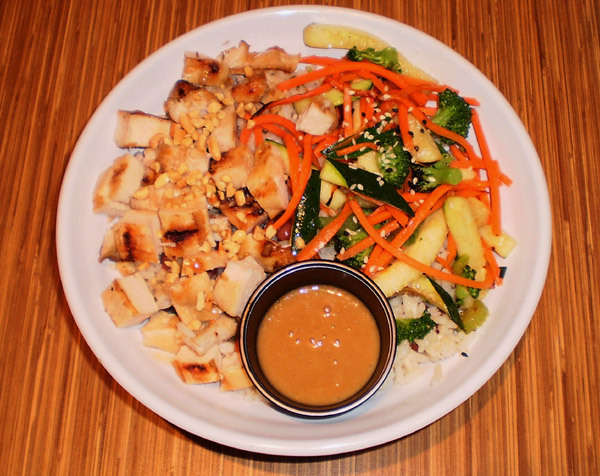 They have island inspired entrée consists mainly rice bowls, sandwiches, and salad – a good value. 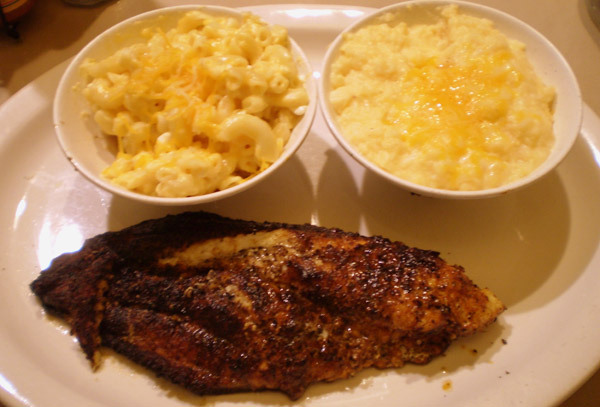 Bayleaf Cafe is newage American restaurant serving globally inspired comfort food. The description sounded good but the restaurant had the slowest service for lunch even when it was not busy. Apart from that, the food was mediocre at the best. Another surprise to me was number of Nepali/Tibetan/Indian restaurants. 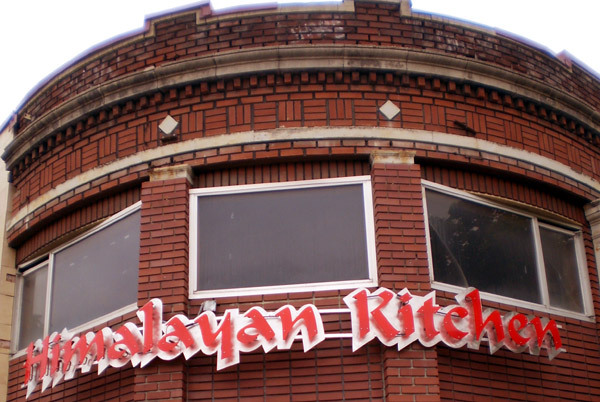 On a rough count Salt Lake City had at least four Nepali restaurants. I can’t vouch for their Nepaliness of their food. However, after walking through Himalayan Kitchen, it seemed more like a nice generic American-style Indian restaurant. If you want authentic Nepali food, ask a Nepali friend or politely ask waiter what Nepali food you can get. I have to admit that the Salt Lake City’s food unexpected diversity maybe attributed to Mormon tradition of sending off missionary throughout world or huge population of outdoor traveling group of people. Nevertheless when people travel, their palates mature and change. More photos on DesiGrub’s Facebook page. I’ve been wanting to visit SLC for a while now, and this post makes me even more anxious for a trip there! @Christine, I have to admit that food was decent but the mountains are breathtaking!